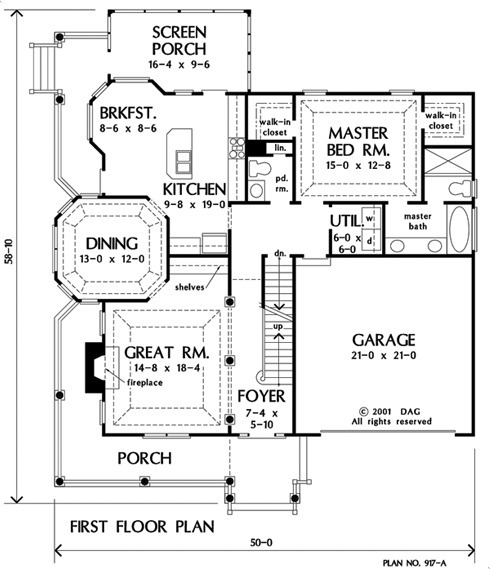 This amazing floorplan remains open, while giving the illusion of traditionally defined rooms. Guests are greeted with the time-honored hallway and staircase, yet warmed with the instantaneous view of the great room with a fireplace, built-in, cathedral ceiling, and columns. Two covered porches and a screened porch welcome year â€˜round entertaining. 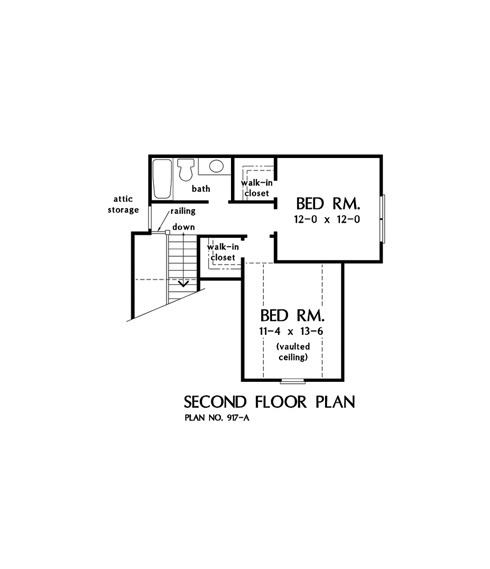 1st Floor: 1459 Sq. 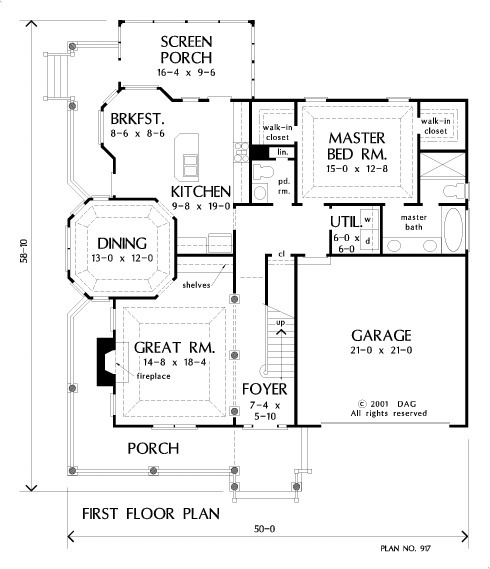 Ft.
House Dimensions: 50' 0" x 58' 10"
Great Room: 14' 8" x 18' 4"
Master Bedroom: 15' 0" x 12' 8"
Foyer (2 Story): 7' 4" x 5' 10" x 18' 0"
Great Room (Tray): 14' 8" x 18' 4" x 12' 0"
Kitchen : 9' 8" x 19' 0" x 9' 0"
Breakfast Room : 8' 6" x 8' 6" x 9' 0"
Master Bedroom (Tray): 15' 0" x 12' 8" x 10' 6"
Bedroom #3 (Vaulted): 11' 4" x 13' 6" x 8' 0"
Porch - Front : 29' 2" x 6' 0" x 0' 0"
Porch - Screen : 16' 4" x 9' 6" x 0' 0"
Porch - Other #1 : 5' 8" x 19' 6" x 0' 0"